According to a news published by Cumhuriyet Daily, today; The Turkish Ministry of Justice issued an order for prohibition of all opposing lawyers. Pursuant to the order sent to all provincial public prosecutors, lawyers who are themselves under criminal investigation are required to be banned for 2 years. 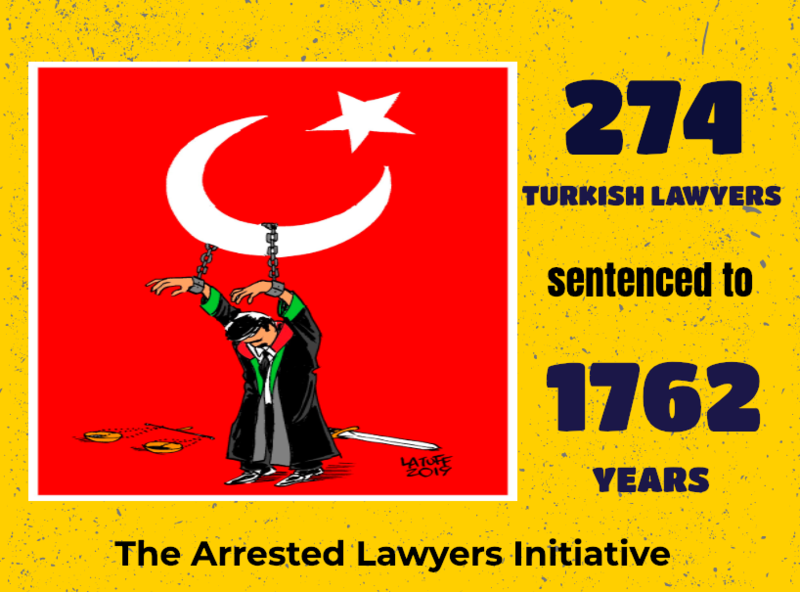 According the reports prepared by The Arrested Lawyers Initiative at least 1307 Turkish lawyers are under prosecution. In addition to the 1307 lawyers already under investigation after this new order of the Ministry of Justice, lawyers who can still occupy their profession in dedicated style can also be banned by sham investigations directed at them. This order is clear violation of right to choose own lawyer and article 16 (and the rest) of UN Basic Principles on the Role of Lawyers.